From Malcolm who helped umpire this event held on May 28 (my apologies for the delay in this report too, time sure flies). 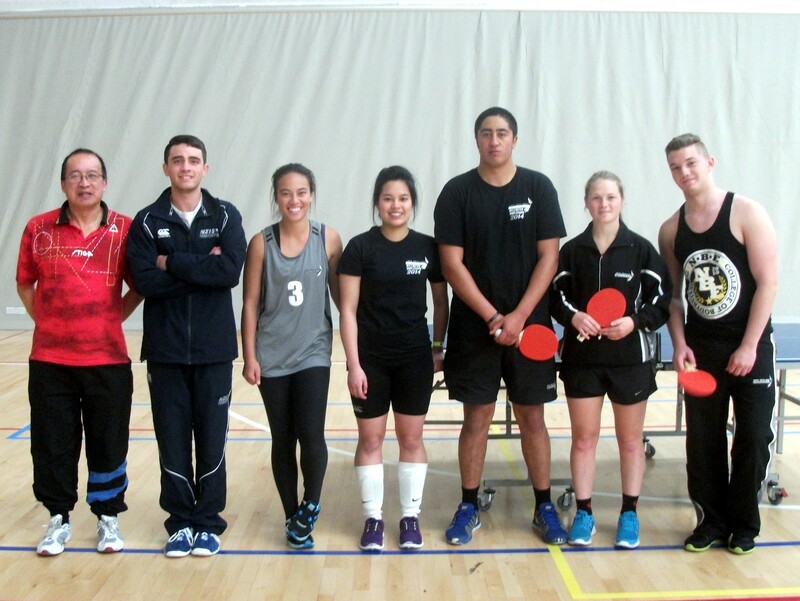 The 2014 New Zealand Institute of Sports Table Tennis Tournament was held at the ASB Sports Centre in Kilbirnie. Auckland won all the events after being third last year. There were exciting final matches in the Men’s Singles where Istead beat White 2-1 (11-9 in the 3rd) and Mixed Doubles where Istead & Erihe beat Hira & Galang 2-1 (15-13 in the 3rd). If Wellington had won both those matches instead of Auckland they would have won overall. Thanks to Malcolm Wong and Roger Watkin who were the umpires, and Malcolm Wong who organised the draw and photos. 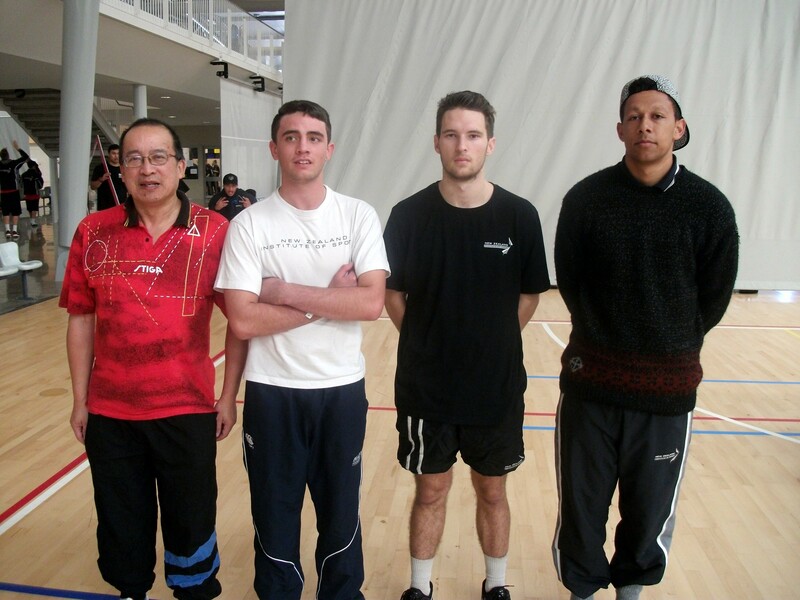 Malcolm Wong (Umpire) Luke Istead (Auckland), Keanu White (Wellington), and Andrew Storer (Christchurch). 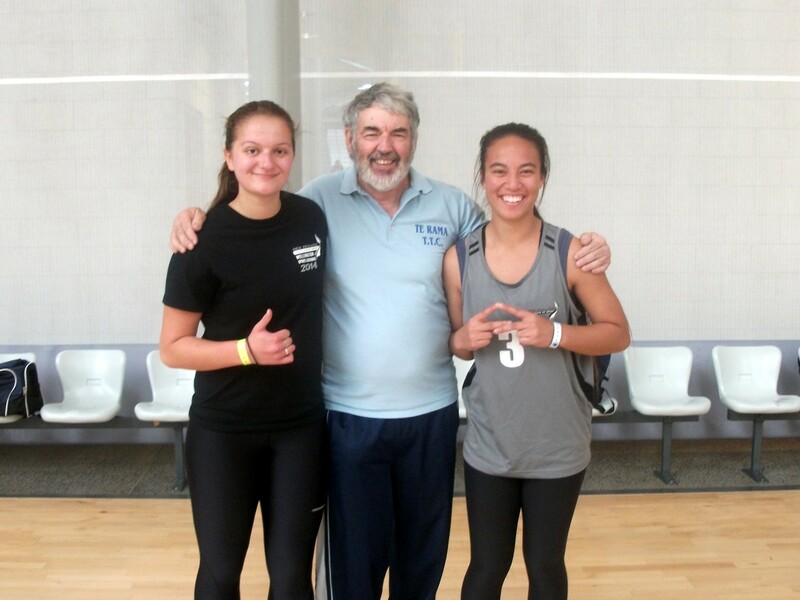 Ruby Fraser (Wellington), Roger Watkin (Umpire) and Justice Erihe (Auckland). Malcolm Wong (Umpire) with Mixed Doubles players Luke Istead & Justice Erihe (Auckland), Janella Galang & Manutai Hira (Wellington) and Arna Roberts & Albert Stanciu (Christchurch).